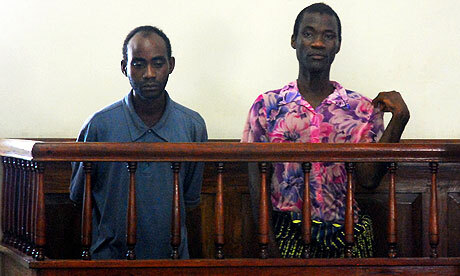 BLANTYRE, Malawi — A judge convicted a gay couple in Malawi Tuesday of unnatural acts and gross indecency after a trial that drew worldwide condemnation of this southern African country’s colonial-era laws on homosexuality. The verdict is “extremely disturbing,” said Michaela Clayton of the Namibia-based AIDS & Rights Alliance for Southern Africa, saying it could encourage anti-gay sentiment in the region as well as set back the fight against AIDS. Gay people forced underground in Africa are unlikely to seek counseling and treatment for AIDS, she and other activists said.